There’s only one word for it: groundbreaking. 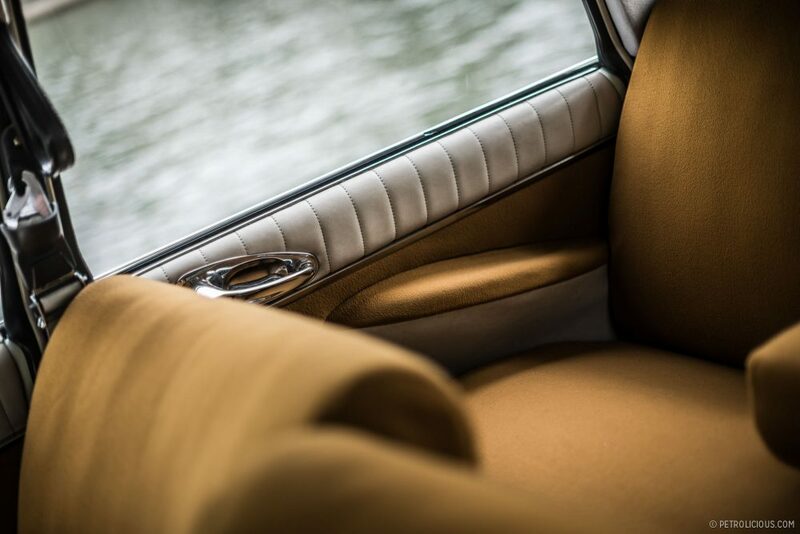 When Citroën pulled the cloak off the DS at the 1955 Paris Motor Show, the company literally stunned an automotive world that was still emerging from World War II austerity. 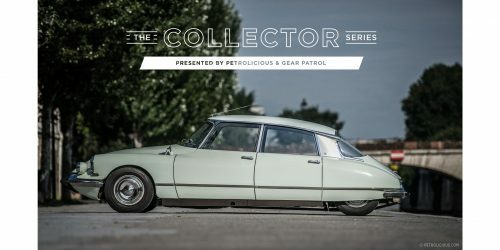 A complete departure from designs still mostly rooted in pre-war designs, the DS or “Goddess” as it came to be known because of the French pronunciation of its nomenclature (“DS” is pronounced in French as “Déesse” or goddess–was a futuristic and amazingly sophisticated machine mechanically, and made most other cars obsolete. 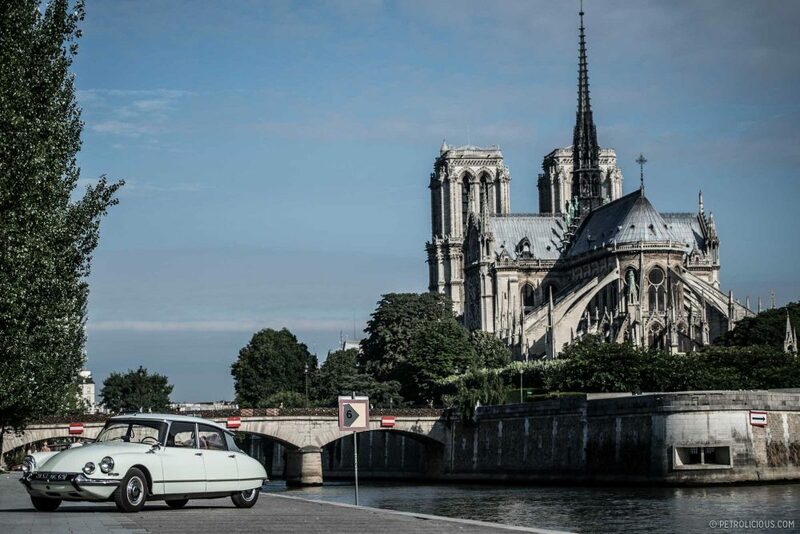 It was a far cry from Citroën’s famous but simple 2CV, and the company took twelve thousand orders for the car that day. 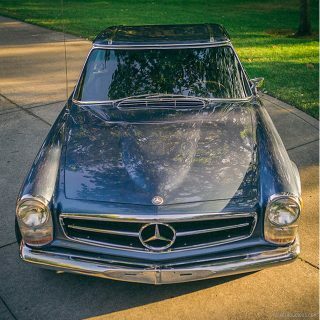 It is still, considering its age, an advanced car today, somewhat rare in the USA, and worthy of your consideration as a collectable automobile. The DS of course has that futuristic streamlined body. Sculpted by Mr. Flaminio Bertoni (see our earlier story on him here) and aeronautical engineer Mr. André Lefèbvre, their direction reflected Citroën’s growing interest in the science (or art?) of aerodynamics. The construction liberally used aluminum and plastic, which is still modern today. 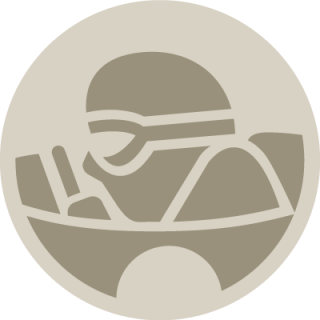 Mechanically, the car came packed with other innovations for the time. 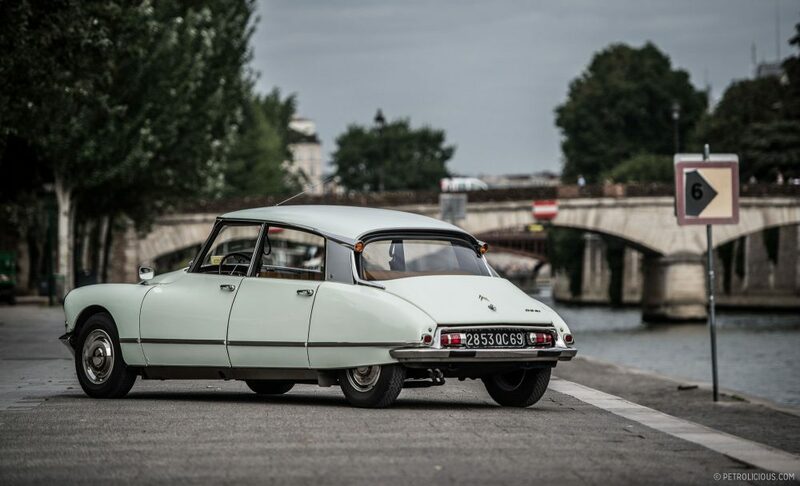 The DS had a 1.9-liter engine, but it also had front wheel drive, power steering, front disc brakes, exterior turn indicators at eye-level, and headlights that swivelled when you turn. Still not impressed? 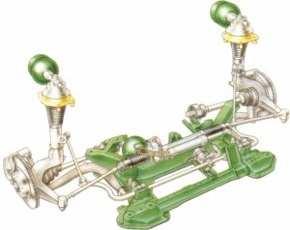 How about the hydro-pneumatic suspension system then? 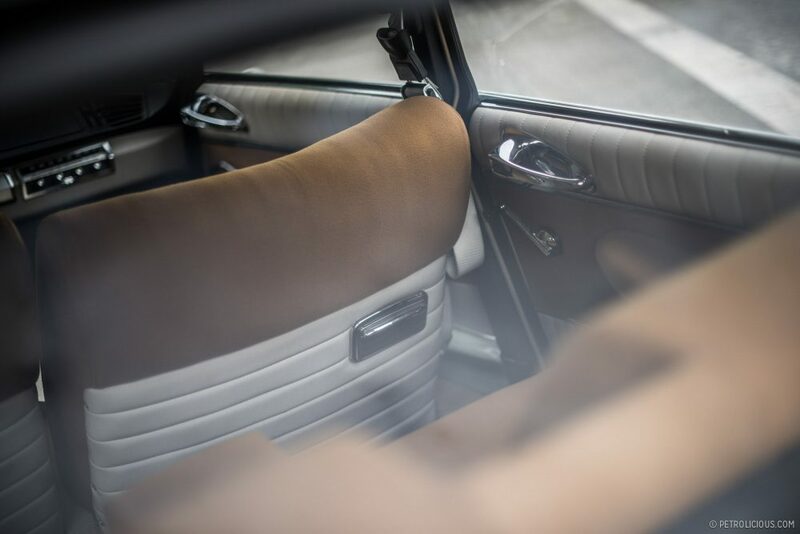 Nitrogen gas automatically adjusts the height of the car to keep it level, and endows it with a “magic carpet ride.” This suspension may have changed the course of history in 1962, when French President Charles De Gaulle was riding from the Elysee Palace to Orly Airport in his DS. Terrorist gunmen opened fire on the car in an assassination attempt, and more than a few of the 140 bullets shattered the car’s rear window and deflated all four of its tires. Due to the car’s suspension system however, the President’s driver was able to accelerate out of a skid and flee to safety. 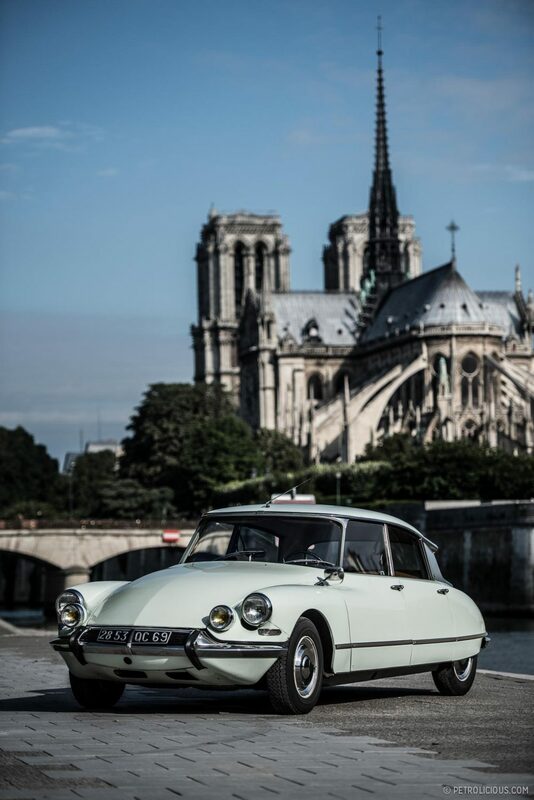 The DS was sold in the United States from 1956 to 1972 through several iterations–the DS 19/20/21/23–and while it looks like the car didn’t change much, Citroën consistently updated it through the years. The changes may be a little difficult to discern besides the new nose it received in 1968. 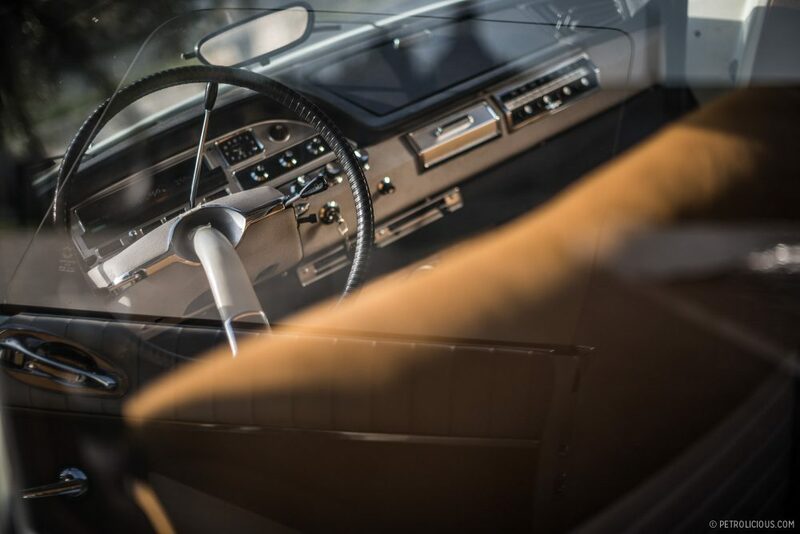 Ostensibly a luxurious car, it did not have the basic features that American buyers expected to find on such a vehicle like air conditioning, or a fully automatic transmission, and only 38,000 units were sold which was a bit of a disappointment to Citroën. 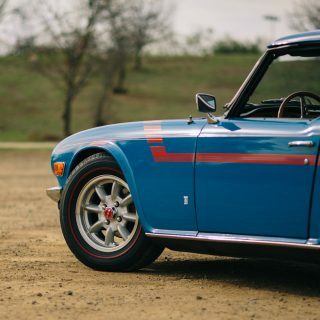 But it also means that the car is a bit of a rarity in the USA. 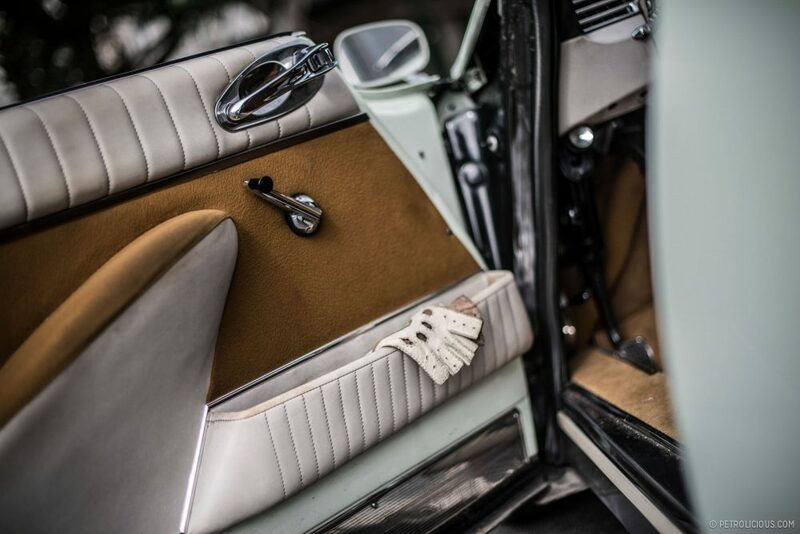 Besides the sedan, a much less common station wagon was introduced in 1958, and rarer still, the most collectable DS is a convertible of which very few were produced. 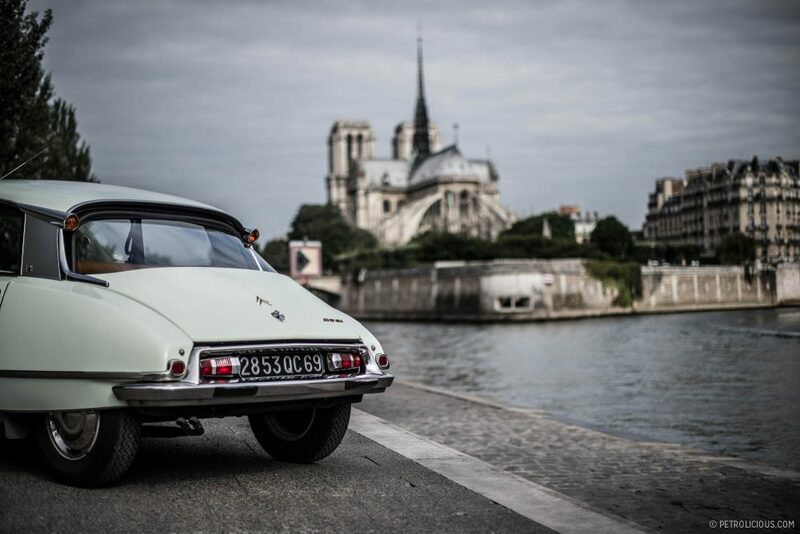 Throughout its long, almost twenty-year production run, the DS remained competitive, and was still quite advanced even when it was replaced by the CX series, and still has a good following today. 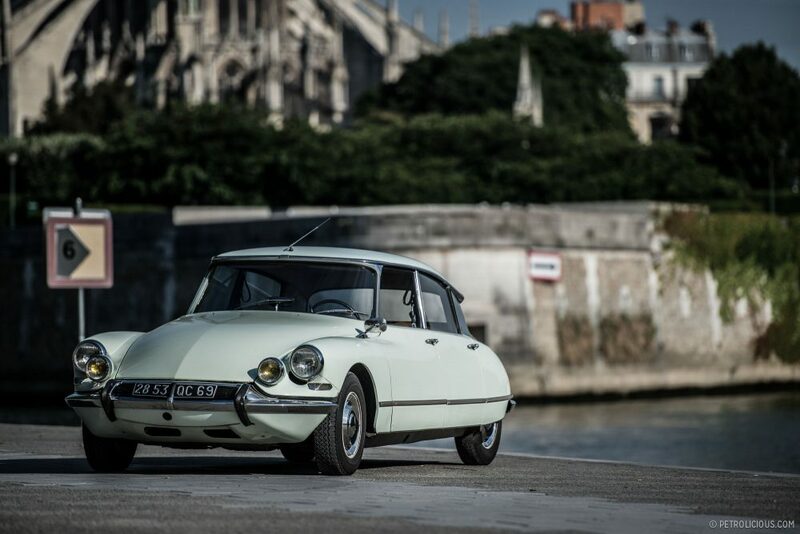 Citroën DS values have been rising, and the car came third in the 1999 Car of the Century competition, recognizing the world’s most influential auto designs. Just pick a good one, as they are expensive to fix if the car has been neglected. 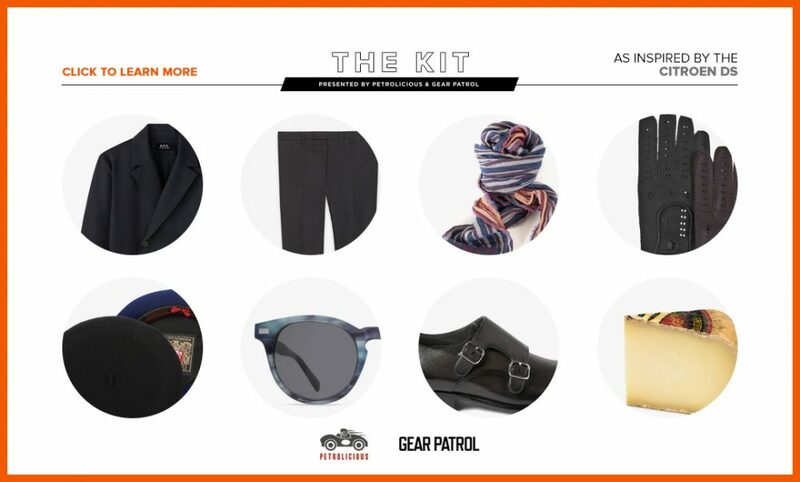 But, if you want something different and you’re at risk from blowouts or gunmen during your commute, know that the DS has your back. 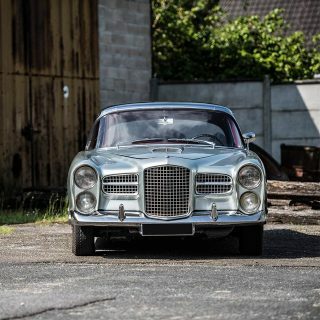 Thank you to Mr. Philippe Peyratout for allowing us to photograph his car. 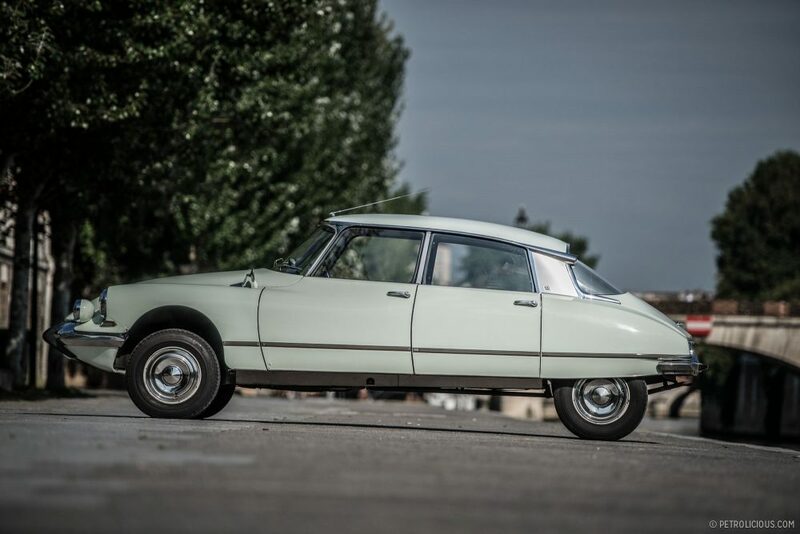 The DS’s hydropneumatic suspension is a thing of beauty, largely because French roads would easily beat up a typical car’s ride. 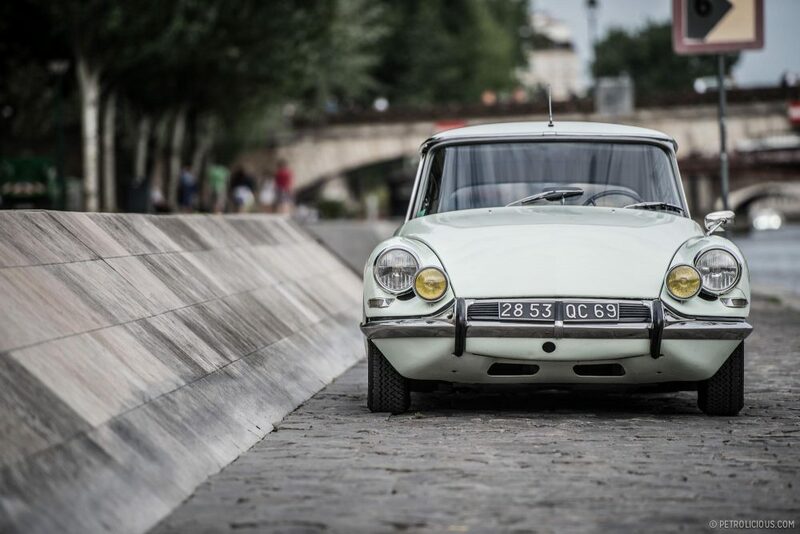 The DS’s nitrogen-filled suspension reservoirs offer up a system that’s highly adaptive to road conditions while providing impressive ride quality, thanks to a significantly more flexible gas setup than what was conventional in its time. 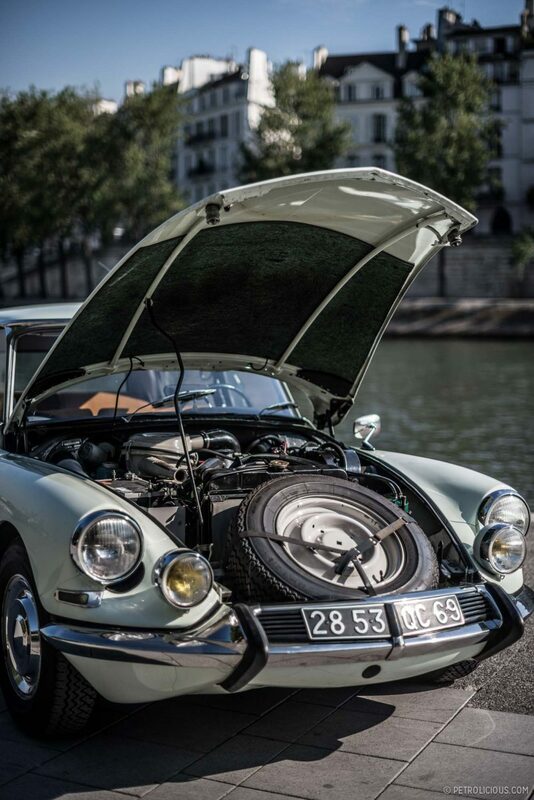 The DS’s smoothness and self-leveling capabilities were unparalleled, and they stand as two of its most endearing and practical features. I think this is very true. I spent two years finding a good DS and paid $11,000 for it. It’s been VERY dependable and has averaged me around $1,000 a year in total maintenance and repairs. It always starts, rises, stops etc and everything in the car works, even the clock. 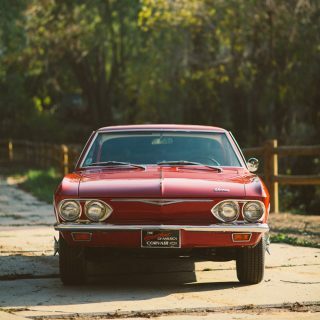 I figure I could sell the car today for $20,000 or so. There are very few cars that can be this much fun and so easy to own and still make money on, if, of course, I ever choose to sell! 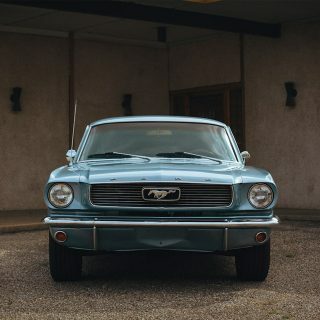 An absolutely beautiful car. The fella who married my Auntie bought one it was green with a white roof.This was in the early seventies in Northern Ireland the only cars we seen were the typical boxy ones.Thunderbirds was s popular kids series at the time with all these futuristic rockets and vehicles.The DS looked like Thunderbird three we all stood as kids and watched in amazement as the hydrolics lifted the car before it drove off. Thank you for your article. 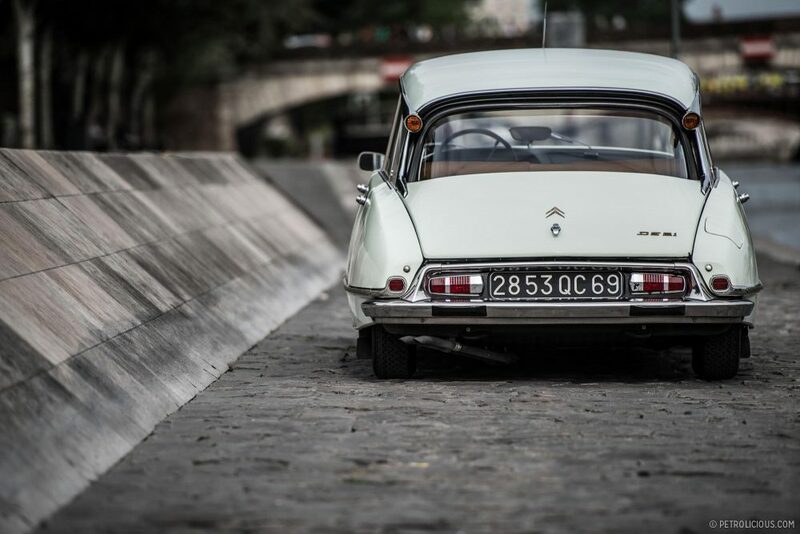 But… this magnificent Citroën is not a DS… but an ID (Idée = Idea). No? Anyway : great pics and smart writer. Really cool looking cars. Spotted this stunning coachbuilt convertible version at the Le Mans classic a couple of weeks ago. There was a “running/driving” one on Ebay a while ago, and I think went for just under $3000. I chickened out. I knew it probably was only running/driving long enough for someone to put that in the ad. Thanks for the article and the plenty of great pics. 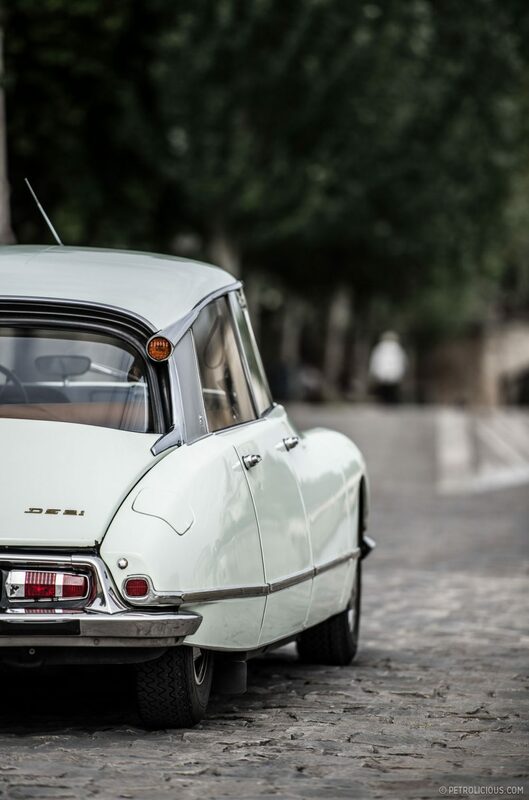 I have always liked the DS for one simple reason it should what a automaker could do when it took the plunge to break the mold. 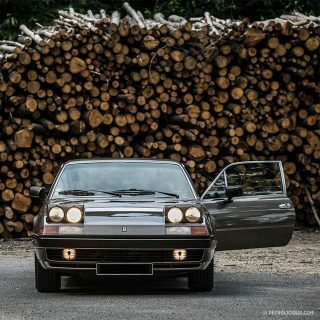 i never really thought it was the most beautiful car ever but striking and unmistakable you bet.